Solve four mind-bending mysteries in unimaginable worlds. "I have downloaded all the 1000 Doors games and found each one kept me on my toes and my mind alert. Being that I am 68 years old, I feel games like this are exciting and exhilarating. It has lovely colors, pictures and some well hidden objects. Highly recommended." 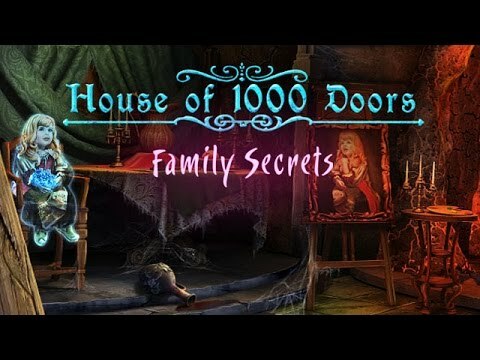 When the dead cannot find release, the House of 1000 Doors serves as a portal that allows the living to help them. To step beyond its threshold, a person must be able to communicate with spirits. Guide Kate as she responds to an invitation to enter the House and solves four mind-bending mysteries that take her to worlds she's never imagined.